Colors' Shakti... Astitva Ke Ehsaas Kii needs no introduction at all, where the show continues to be a rating grabber for almost three years now. 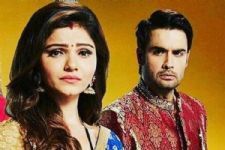 The Vivian Dsena-Rubina Dilaik starrer has been tackling some tabooed topics in the show with such grace that the acceptance of the same has been fantastic. And now, a new era is set to begin in the show with a range of new entries happening. 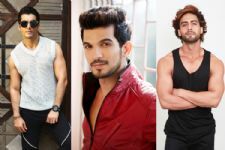 We already reported about how Abigail Pandey will be entering the show, and here is some news about two more actors who will be coming in. According to reports, actress Mouli Ganguly and actor Rohit Roy will be entering Shakti soon. Yes! That's right. Unlike her previous few characters, Mouli will be playing a positive role who she described as sweet, emotional and relatable. She will play the on-screen wife to Rohit Roy's character in the show. How will the entry of this new couple impact the lives of Harman (Vivian Dsena) and Saumya (Rubina Dilaik)?